This weekend San Francisco is hosting the World Cup for Rugby Sevens. It debuted as an Olympic event in 2016. The teams only have seven players each (compared with traditional rugby’s 15) and each half of the game is only seven minutes, so the total game time is about 16 minutes long, including the two-minute half time. The scores are comparable to rugby scores since defenders are more spaced out. Lots of scoring, lots of speed, every second counts. It’s exciting. So why is Morgan suddenly so interested in Rugby? I’ve never mentioned sports before in this blog, and between the Warriors and the Giants, there have been plenty of opporunities. (whoop! whoop!) Hmmm. What’s up Morgan? You guessed it. I have a horse in the race -or more accurately a work of art on display – during the Rugby Sevens World Cup. I was hired to create a mural that would serve as a backdrop for the opening and closing ceremonies, and throughout the weekend as a media backdrop. 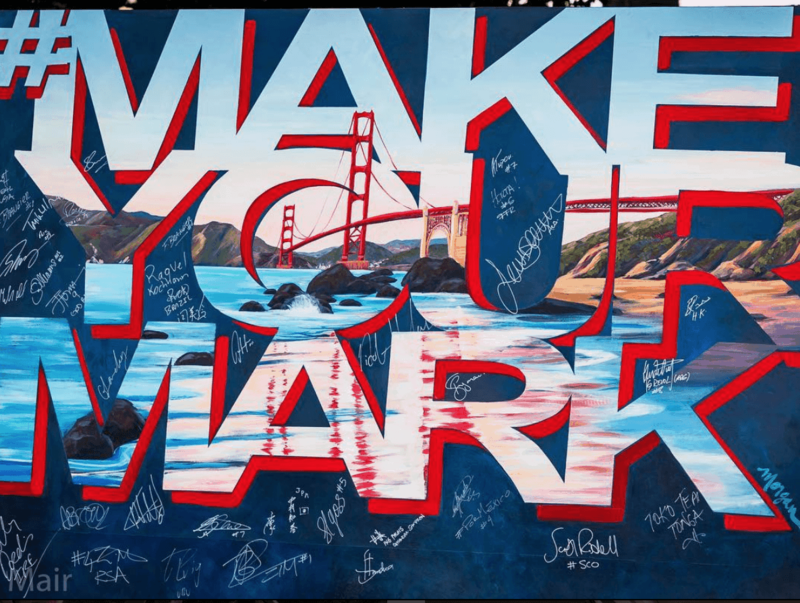 The theme for this event is “Make Your Mark”, and I turned the words into a work of art which the team captains all signed during the opening ceremony. The artwork will be donated to an elementary school in Oakland at the end of the event. “Sevens” tournaments are traditionally known for having more of a relaxed atmosphere than fifteen-a-side games, and are usually called “festivals”. 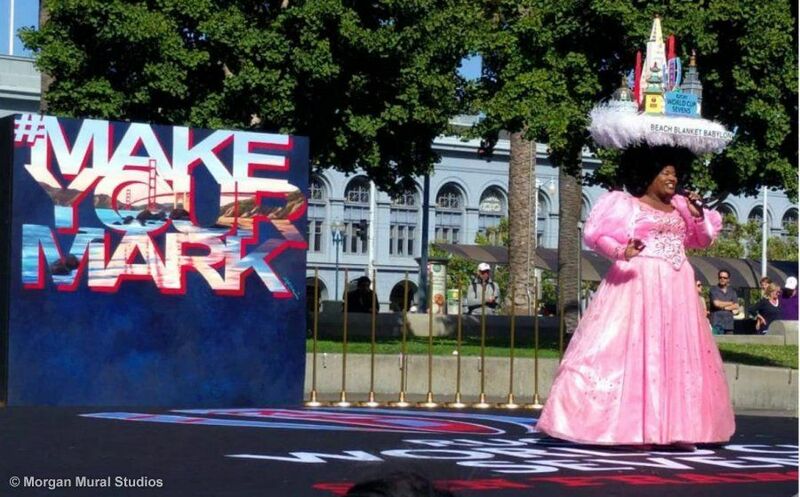 Many fans will get dressed up or put on themed costumes for the events. I experienced the playful culture around the sport firsthand at yesterday’s opening ceremony. I gave each team captain strict instructions on where to sign the mural as they went onstage, on the lower half of the mural where it was just blue. In addition to awesome dance moves and stage antics, I also learned these Sevens players are not sticklers with art. The majority of signatures were on the top half of the artwork. The joke is on me, it looks better with the signatures up top anyway. 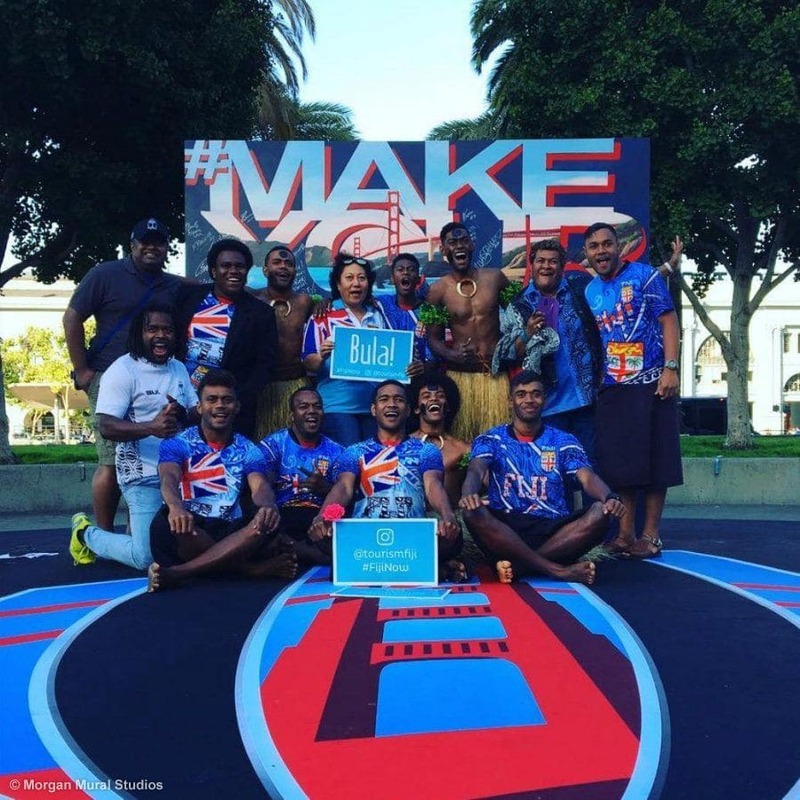 You can check out #makeyourmark on Instagram over the weekend to see how the Rugby fun develops. Exhibit A, Team Fiji. 1. Short games. So different from the Soccer World Cup. Instead of spending your afternoon on the couch to watch a game, you can be back out mowing the lawn before you finish your first beer. The World Cup is sudden death elimination, so the stakes are high on every minute of play. 2. You only have to remember the names of seven players of your favorite team. 3. This contributes to World Peace. I’m serious. Watching these amazing athletes from about 30 different countries share their infectious energy for play and sport is what peace looks like. We don’t have it everywhere, all the time in the world right now, but this is a particularly cool example of humans from around the world coming together to celebrate amazing athletic skill. 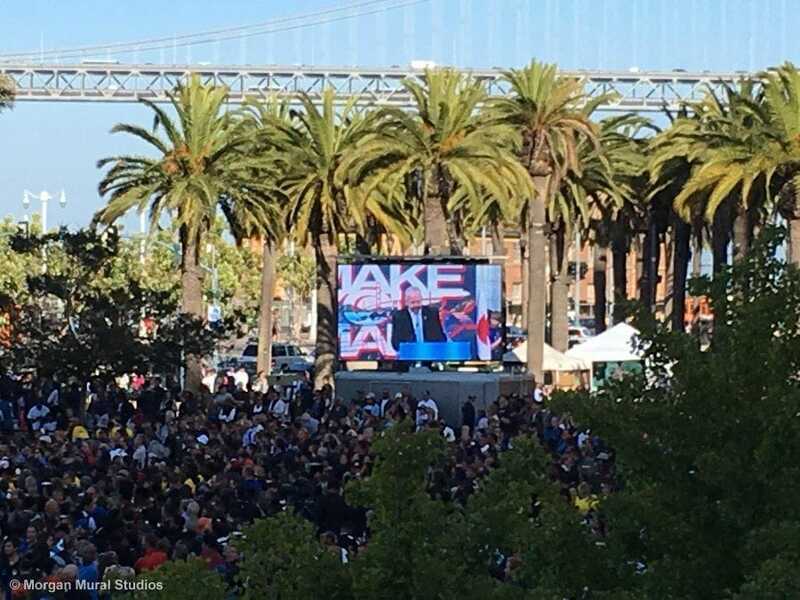 The men and women’s events are at the same venue, AT&T Park, so chalk one up for gender equality to boot. There are still some tickets available. For the couch potatoes, it will be broadcast on NBC. No guarantees on sports coverage in future blogs.